I believe in the importance and power of prayer. Very few times in my life have I had someone refuse it. Mostly, whether they were religious or not they seemed to welcome prayer. Elected officials are among those. I have heard of some who were extremely grateful that people were praying for them. During President Obama’s administration I was one of probably hundreds of thousands that regularly prayed for him. I plan to do the same for President Trump as well. While reading my Bible I came across a story that highlighted the value of prayer at the highest levels of government. It took place in the transition of power from David, King of Israel, to his son Solomon who would succeed him. In the midst of this, King David offered a public prayer for his country. He prayed for his people saying to God, “. . . direct their hearts toward you” (1 Chronicles 29:18). The old, wise King knew who was really over the affairs of his country – God. Therefore, he prayed that the affections of the people would first and foremost be toward Him. This is something we can learn from. If our hearts are bent chiefly toward a political party or ideology then we are on a crooked path to an eventual downfall. However, if we fix our eyes straight ahead and walk according to God’s purposes, the foundation of our nation will be made secure. He also prayed for the new King saying to God, “. . . may he keep your commandments, your testimonies, and your statutes, performing all” (1 Chronicles 29:19). Again, the experienced King knew who was the author of blessing and cursing on his nation – God. And He knew how to remain in a healthy relationship with Him and how to follow His counsel in governing. He knew all these answers were found in the Scriptures and prayed the next King, his son, would give himself to knowing and following God through His Word. As the seasoned King prayed, he was aware of the price of neglect. He knew that each person, his son and the entire nation, could choose to do as they wished. As a result, he warned them not to abandon God and go their own way. For the price would be great for his country if they did. Join me in praying for our new President. As we do, let us also commit ourselves afresh toward God. May our hearts be fixed on Him. 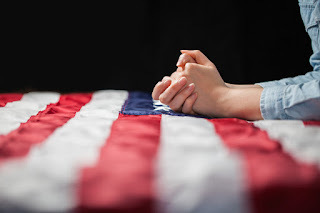 Additionally, let us pray that President Trump will know God personally and walk in accordance with His holy Word for the welfare of his own soul and our nation. This year an estimated 139 million Americans will do some type of New Year’s resolution. That is about half of our nation. By June, 92% will have failed, leaving only 8% to celebrate victory. A resolution is a statement of purpose backed up with an initial resolve to make a change like “I make a resolution to lose 25 pounds this year.” They typically cover areas like our health, finances or relationships. Wow! What a mind blowing finding. 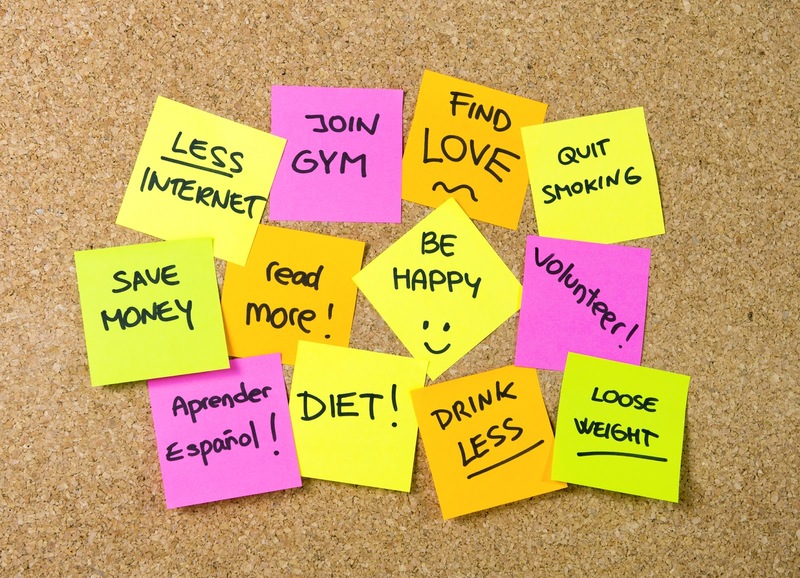 What is the deeper motivation in setting your resolution or goal? Is the focus just to lose the weight or do you think it will bring greater happiness or satisfaction to your life? Consider this - if we believe that working hard on the outside of our lives is going to change the inside, we will be sadly disappointed. When we achieve what we set out for, yes, we will be happy for a moment or a brief season of time, but then it will wear off. Eventually we will be right back where we started. Honestly, are the changes you want deeper than just your health, finances or relationships? Where do we find the answers to the deep things of the heart and soul? Where do we find meaning, happiness and satisfaction? They are found in Jesus. In Him we will find all we need. You will get temporary happiness in your resolutions, but you will find lasting peace through Jesus.